A strange man turns up at the computer lab claiming to be… Franz Hopper. Our heroes can’t believe their eyes. But in truth, the man is just another of XANA’s spectres which has taken on a human appearance. 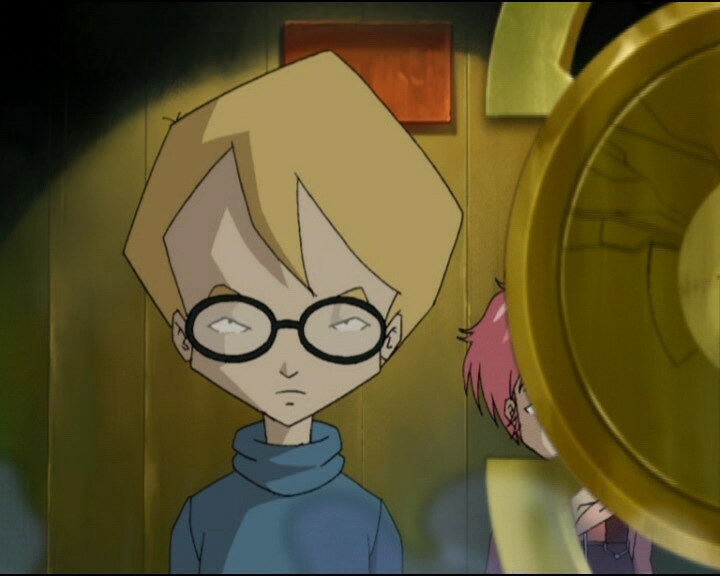 He cleverly, yet relentlessly sows dissension in the gang so he can wipe out our heroes and lure Aelita to Lyoko so that the Scyphozoa can steal her memory. XANA unleashes an attack: 5 towers are activated simultaneously. The five friends go to the factory as soon as possible, pressed by terrible thoughts of what could happen… But they’re surprised when they see, sitting in Jeremy’s seat, the piano-playing man in Aelita’s visions, simply saying “I’ve been expecting you!” The amazement continues as the mysterious man deactivates the towers one by one with no difficulty, from the terminal… When our heroes ask who he is he responds “I’m Franz Hopper.” He then explains that he created Lyoko, then XANA – which escaped his control – as well as Aelita… Now, he’s there to turn the Supercomputer off, after finding Aelita’s antivirus…in other words, he’s there to help! Our heroes return to the school, happy to have found such a skilled ally. The next day is Jeremy’s birthday: a day that begins on a positive note… But it doesn’t last long; when Jeremy informs Hopper they used the scanners frequently to fight XANA, he responds that the scanners were only prototypes and weren’t ready to handle something as complicated as human beings yet. 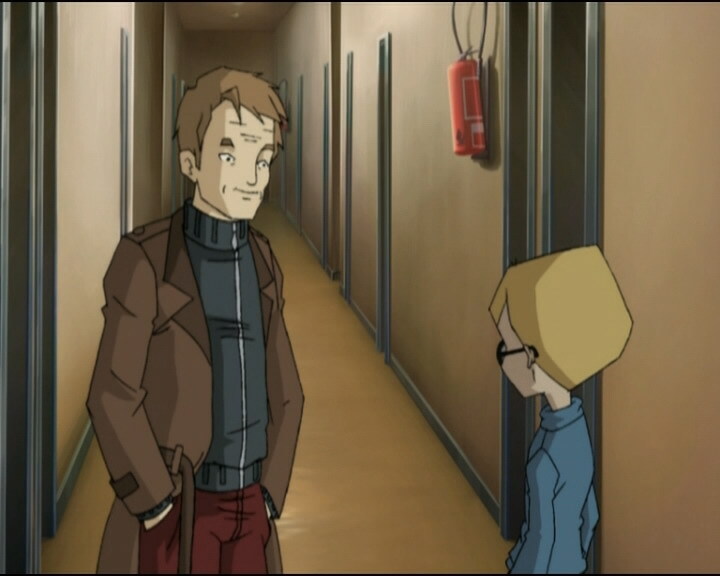 An analysis then reveals progressing cellular degeneration in Yumi, which will lead to certain death… The rest of the day is tense, because Ulrich, Odd and especially Yumi are having a go at Jeremy, who is supported by only Aelita. The blond goes to bed filled with remorse and an insatiable desire to help his friend. In his room, Jeremy reflects on what Franz said to him and realises something wrong… Franz Hopper’s journal was indeed destroyed by XANA, but how could he know that? 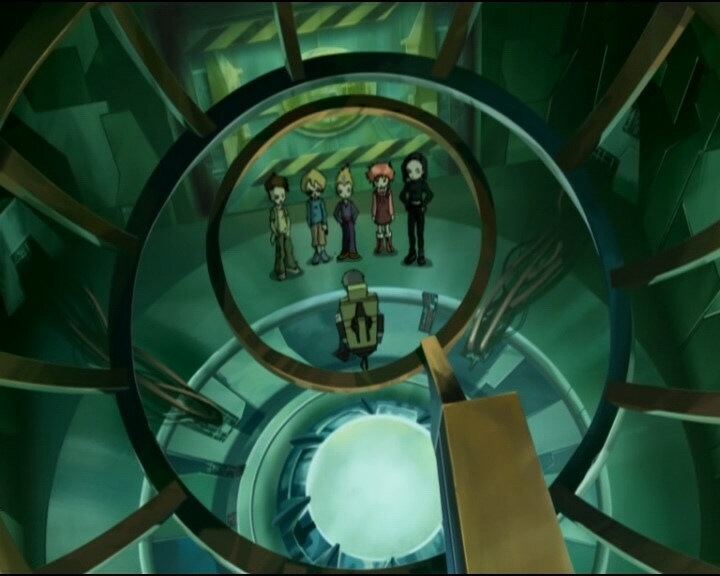 Only Odd, Ulrich, Aelita, Yumi and himself knew about it… The only other person might know about it is the one who committed the crime…XANA! 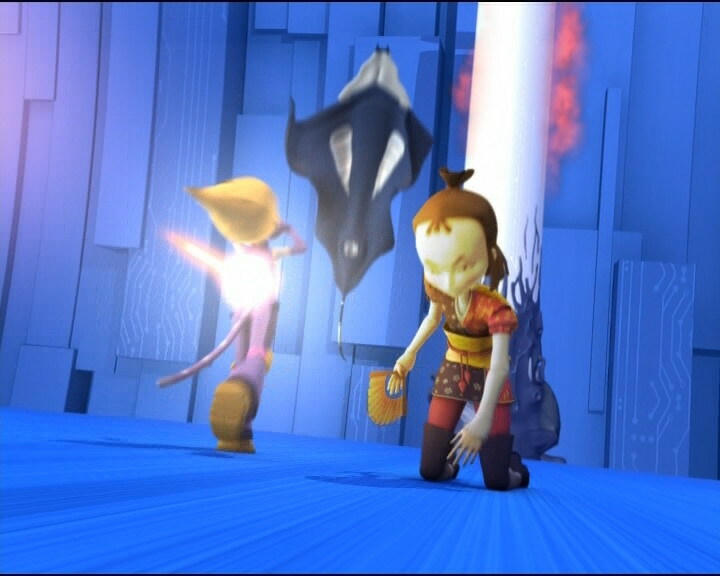 The turnaround is obvious: the false Hopper sends Aelita directly onto an isolated platform in the Desert Sector where the Scyphozoa steals her memory, then destroys the fighters’ weapons leaving them at the Creepers’ mercy. The devirtualisation program is also sabotaged, meaning certain death if they run out of life points! - Attack: Generate a false image of Franz Hopper to gain the heroes’ trust, then divide the group by excluding Jeremy. Once this is done, send the fighters in to Sector 5 before taking their weapons away and sending Aelita to the Scyphozoa. 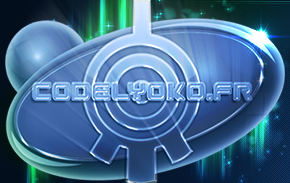 - We discover that Franz Hopper created Lyoko and XANA, which went out of control. 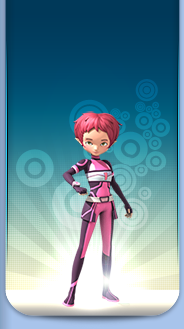 We’re also led to believe that Franz created Aelita. At the end of the episode, we don’t know if Franz is still alive or not. - We learn that direct access to Sector 5 is possible. - Discovery of the tower in Sector 5. - First appearance of Jeremy’s dad, Michael. - Only episode in which the heroes confront the monsters with their bare hands. - How can Jeremy communicate with Yumi and Odd without the microphone? - When Jeremy stands the photo frame of the group up again, it’s night outside the window when it’s daytime. - The handle on the door to Jeremy’s room is on the right instead of the left before Aelita leaves and when his dad enters. - When the fake Franz devirtualises the heroes’ weapons, we see Ulrich’s sabre in its sheath during several scenes and his sheath disappears when he’s shot by a Creeper, after which he and his sabre are devirtualised while fighting a Creeper. - Why has XANA never activated the tower in Sector 5, when the heroes and Aelita can’t access it? It could’ve launched unstoppable attacks on Earth or against the heroes. 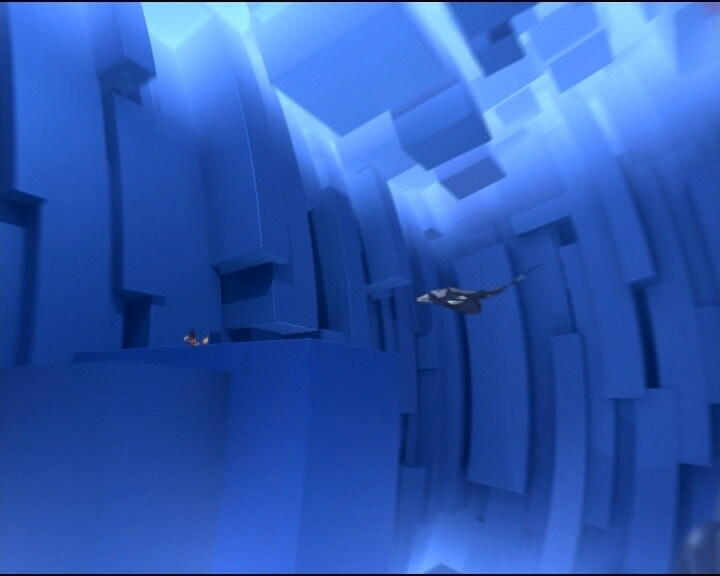 - Six towers are activated at the same time at the start of the episode. - First episode in which we see weapons being devirtualised. - First mention of direct access to Sector 5. - Jeremy’s flashbacks are from episode 31, “Mister Puck”. 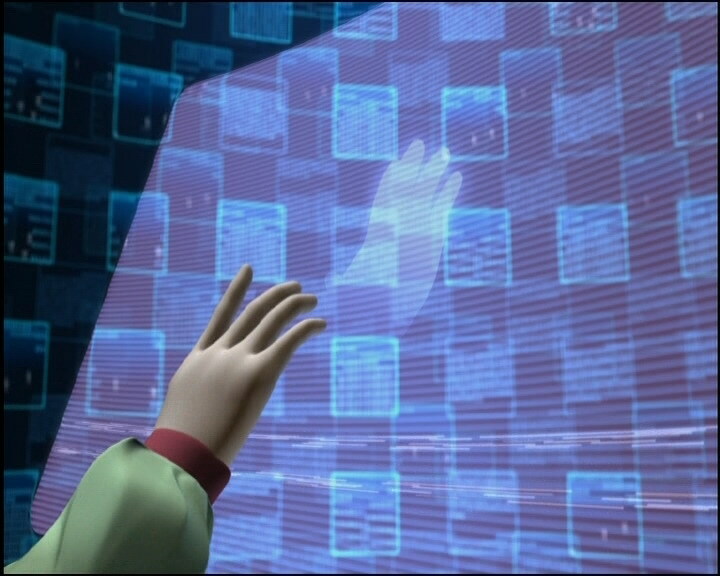 - The Superscan can’t localise the tower in Sector 5, which appeared only in this episode. - The school for the gifted Jeremy wanted to go to at one point was undoubtedly the same one as mentioned in episode 11, “Plagued”. Allusion to episode 31, “Mister Puck,” in which Jeremy was XANAfied and destroyed the CDs in the journal. - The posture Odd takes when he fights the Creeper with his bare hands and the bell that sounds are both from a typical boxing match. Jeremy: This one looks like big trouble! Yumi (over the phone): Why? Jeremy: Because believe it or not, there are five activated towers! Man: Ah, there you are! I’ve been expecting you! Jeremy: Uh, uh, bu-but I mean…wha…what are you doing here? Man: I’m deactivating the towers! 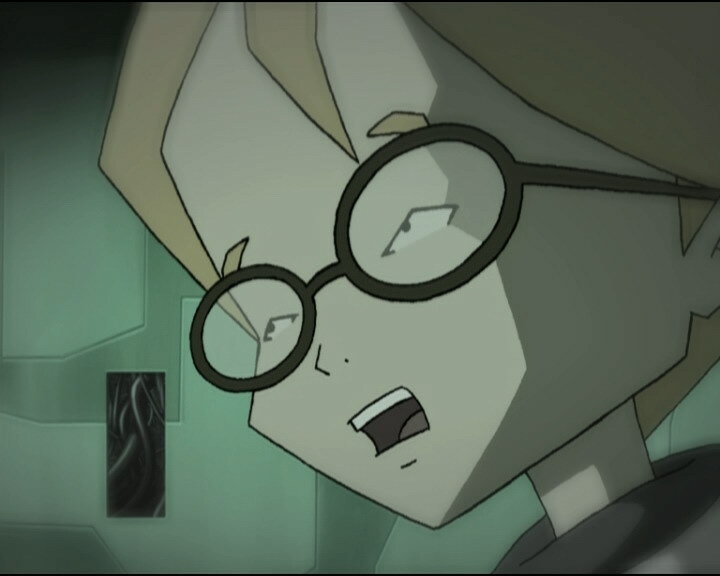 Jeremy: Without going to Lyoko?! Aelita: Buh uh…who are you? Man: What? Haven’t you understood yet? I’m Franz Hopper. Franz: Eh? 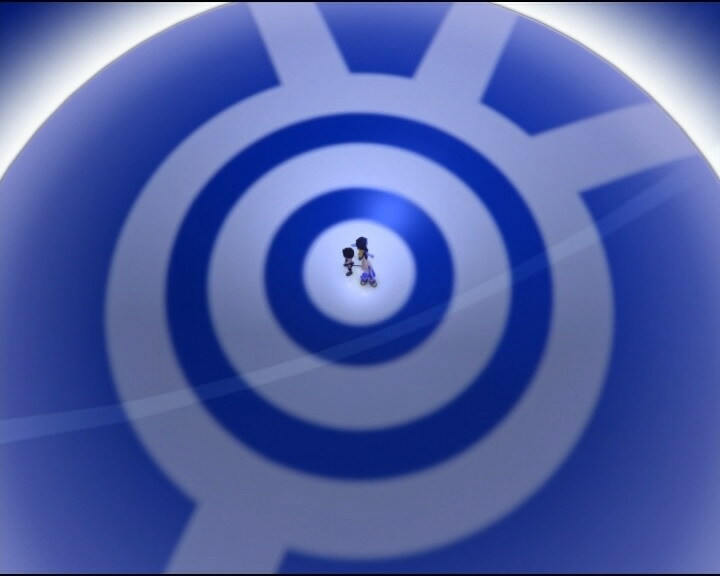 I created you to be the guardian of Lyoko. But I never thought I’d see you one day in flesh and blood. 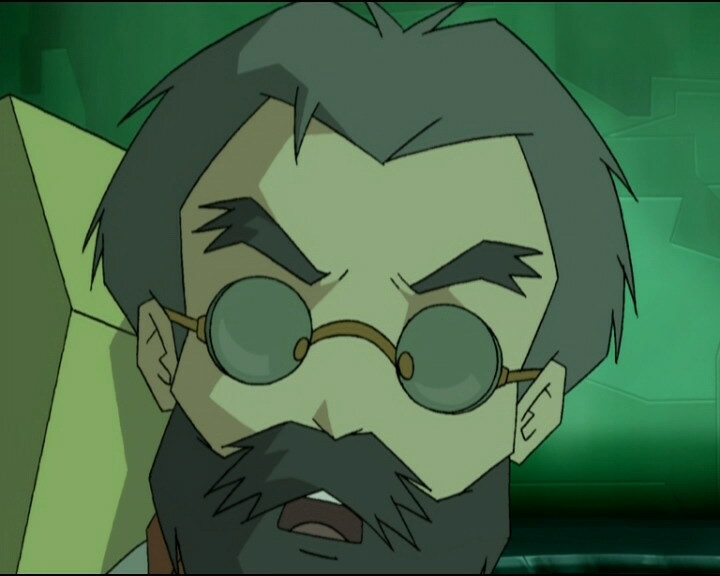 Aelita: He’s very fatherly. Actually, in a way, he is my father! He’s the one who created me. Jeremy: That’s true. I adore my own dad, but…he’s sure no genius! This Franz Hopper is a real live genius! Mr Belpois: Jeremy? It’s me. Mr Belpois: No, Michael, your father! You know why I’m calling? Happy birthday, big guy! Ulrich, Odd, Aelita and Yumi: HAPPY BIRTHDAY, EINSTEIN!!! Mr Belpois: By the way, your mother’s worried about you. You should call us more often! Now, have you thought about that school for gifted children? Jeremy? Ulrich: What are you waiting for? Go on, open it! Odd: Yeah! And I drew it from memory! Ulrich: So you can imagine how much effort it took! Jeremy (horrified): No…it can’t be…! Yumi: I can’t believe it…what a nightmare! Odd: Nice one, Einstein! Doctor Schrank transplants animal limbs onto human beings, but compared to you, he’s small time! Yumi: I need to be by myself. Coming, Ulrich? Jeremy: I’m sure there’s a way to cure Yumi! Odd: We don’t even know exactly what’s wrong with her! Jeremy: I’ll work it out, I promise I will! Ulrich: I think you’ve done enough damage as it is. Jeremy: What do you mean by that? That everything’s been my fault right from the start?! Ulrich: You’re the brains in this outfit, Einstein! 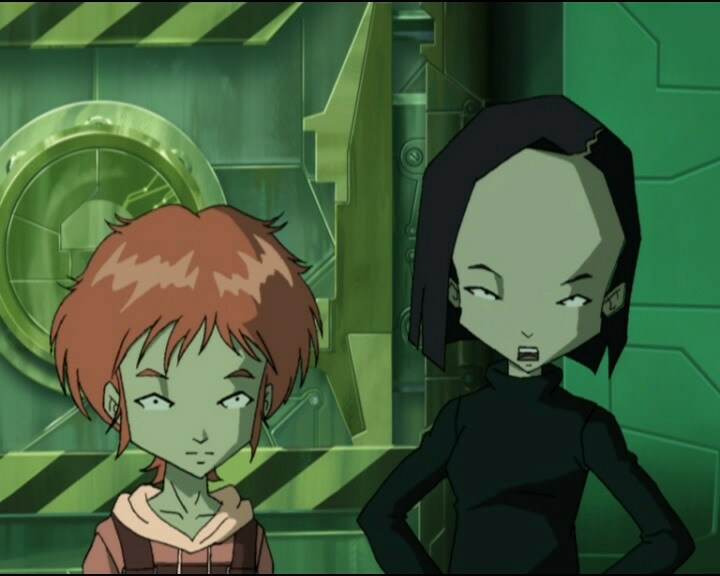 Aelita (standing up): You know, Ulrich, if it weren’t for the scanners, I wouldn’t be here! Ms Ishiyama (seeing Yumi not eating): Yumi, are you ok? Yumi: I’m…not very hungry tonight. Hiroki: Ahahaha! Ohh Ulrich, I looooooooooooove yoooooooooooou! Yumi: I’m going to bed. Ms Ishiyama: Sigh…that’s it then, we’re in the thick of it now! Ms Ishiyama: A teenage crisis! Odd: It’ll be our final mission! Franz: If I were you, I’d stay out of the way. Franz: Perhaps, but you were the one who played the sorcerer’s apprentice. You’re the one who put your friends’ lives at risk. And you’re the one who let XANA destroy my diary! Jeremy: You know that school for gifted children that you were talking about? Jeremy: I wanna go. Can you come get me? Jeremy: As soon as possible. Mr Belpois: Ok, I’ll be there tomorrow. Jeremy: Oh, right, um…alright then. Ulrich: Hey, we’ve arrived directly in Sector 5! Franz: Of course! There’s a direct access. The Transporter’s a little…outdated. Franz (Jeremy’s flashback): And you’re the one who let XANA destroy my diary! Jeremy (thinking): Franz Hopper’s diary…but how could he know the diary was destroyed? Franz : And you’re the one who let XANA destroy my diary! Jeremy (looking at the damaged CDs): How could Franz Hopper know that? Franz: And you’re the one who let XANA destroy my diary! Odd: Uh, Franz? I don’t mind cleaning up, but we’re gonna need some industrial strength detergent! Franz: No problem, I’ve programmed you each some new weapons! Odd: Uh…I don’t see what’s new about this! …Waahoooo! Homing darts! Odd: It’s almost too easy! I want more Creepers! Franz: Jeremy. What are you doing here? Jeremy: I just came to see how you’re managing…XANA! XANA-Franz: You’re very clever, Jeremy, but you’re too late! Odd: Hey, wanna make this a contest? Whoever gets the most wins! Yumi: I get the feeling, we’ve been double-crossed! XANA-Franz: Haha, your friends are in a little trouble! I’ve fixed things so they can never rematerialise! No more life points, and it’s bye-bye! Odd: Well, there’s only one thing to do. Franz! We need help!!! XANA-Franz: Admit you’re defeated, Jeremy! Jeremy: No, not this time! XANA-Franz: What’s the meaning of this?! Jeremy: Come on, don’t be so pessimistic, Odd! Jeremy: Yes! I’m back! Come on, let’s start over! Odd: Hahaha, nothing like my trust old gear! Ulrich: Jeremy?! What’s going on? What can I do? Aelita: Hurry! Jeremy’s in trouble! Jeremy: That false Franz Hopper! 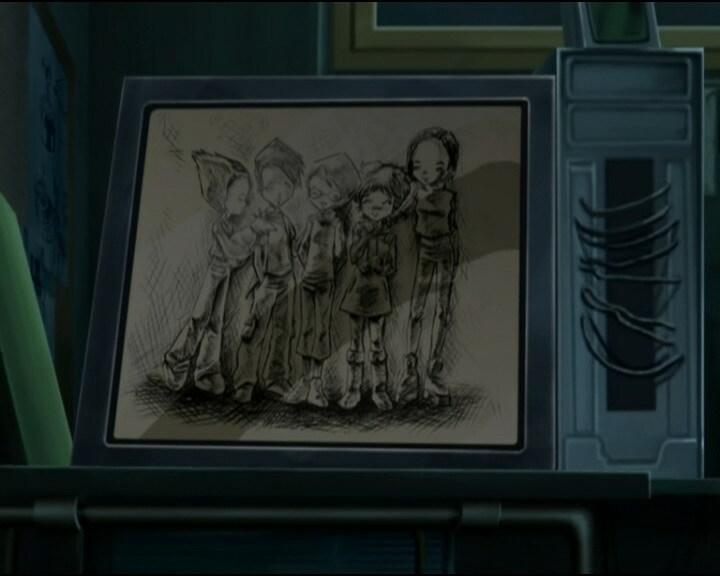 The real one is still somewhere on Lyoko. Odd: Hey, what’s going on here? Where were you going? 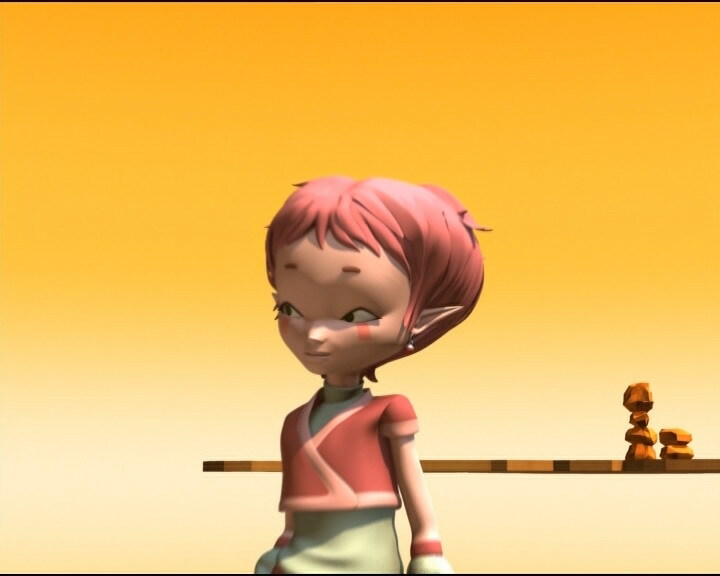 Aelita: Your father seems like a really nice guy! Jeremy: Yeah, I love him. He’s great! Ulrich: Like father, like son!